Many Already Booked, Many Months In Advance! to Grand Turk, La Romana, Curacao and Aruba!" This is NOT a typical seminar event, or pitch-fest filled with speakers, offers and "information overload". It is YOUR warm INVITATION to join some of your best entrepreneurial real estate buddies, friends and families... on VACATION! Join Street Smart® licensees, Certified Affordable Housing Providers® and Investor Comps members for a Mega Mastermind Getaway!... Renew, refresh, and relax as high achievers like you share ideas, results and camaraderie on the high seas as we visit exotic destinations most cruisers have never seen. 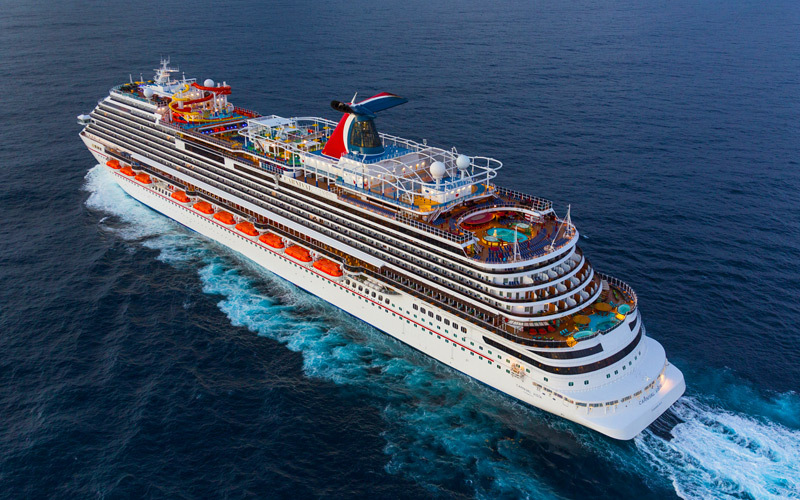 Lou Brown and Mark Jackson along with their top level clients are planning to enjoy a great time for 8 days and 8 nights on the Brand New Carnival Horizon Mega-Ship next July 13 - 21, 2019. We'll have "peer-to-peer" Business Building Mastermind Sessions on the mornings of the days at sea, then fun in the sun, island adventures and GREAT networking dinners, parties and special events all week long. 30% work, 70% play, 100% FUN! Deluxe Champagne & Chocolate Covered Strawberries upon embarkation! 7 Big Open-seating round robin Networking Group Dinners in a special section just for our group. Break bread with the who's who of our industry! Open Bar Networking Theme Cocktail Party! Bon Voyage Beach Bag with Street Smart® / Investor Comps t-shirts and other fun SWAG! Private Facebook Group just for registered guests of the Street Smart® / Investor Comps Cruise, so you can meet your shipmates way before we set sail. Best Available Cabins on preferred higher decks, near each other, to facilitate even greater camaraderie. Group Photo Shoot and two keepsake 8 X 10 Group Portraits (per cabin) to take home and treasure the memories made with great friends sharing common goals. Value: $49.95, but the memories... PRICELESS! Invitation to our Big Networking BEACH PARTY in Grand Turk island! Optional Private Island Excursions just for members of the Street Smart / Investor Comps group. Package rates also INCLUDE all government taxes and fees of $129.50 per person. To be included in all of these group events, perks and amenities ALL guests MUST book into our special group package via THE BELOW LINK, through our cruise event planner Little Shop Of Cruises - Special Events At Sea.